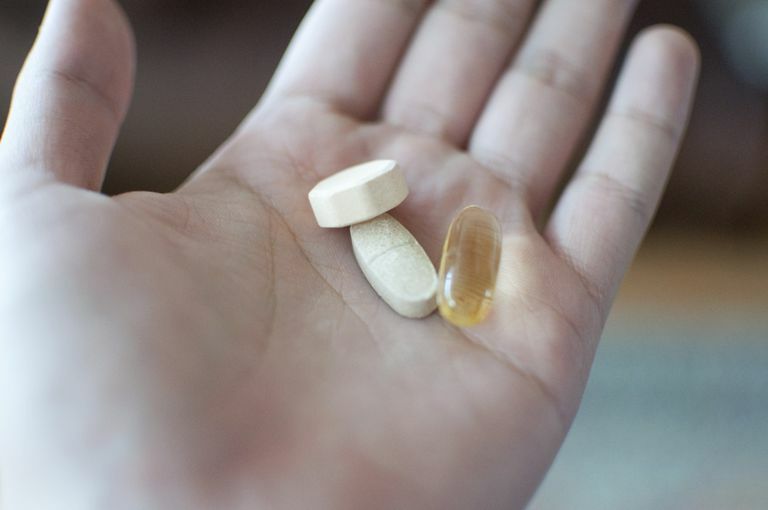 Every year, consumers spend over a billion dollars on vitamins and other dietary supplements in the hopes of restoring or preserving their health. Are all those supplements really necessary or is it just wasted money? On one hand, eating a healthy, well-balanced diet should provide you with all of the individual nutrients you need. But, on the other hand, if your diet isn't so good, some of those nutrients might be deficient. A supplement or multivitamin can help fill the nutrient gaps in your diet—but multivitamins won't fix an unhealthy diet. For example, a person who hates fruits and vegetables might not get enough vitamin C, and someone who refuses to eat dairy products may need extra calcium. Taking a daily multivitamin/multimineral product is an inexpensive and easy way to ensure the recommended dietary intakes for most vitamin and minerals are met. But what if you want to take dietary supplements to reduce your risk of a specific disease? In most cases, adding a supplement to your daily diet won't make much of a difference, if any. Research just doesn't indicate vitamins or other supplements will reduce heart disease or stroke risk, or improve lifespan. There's even evidence that taking large amounts of vitamin E and some antioxidants may be detrimental to your health. While taking vitamins isn't going to fix all your diet and lifestyle issues, there are some individual vitamins and dietary supplements that do have some research evidence in their favori. Calcium: The recommended amount of calcium for most adults is about 1,200 milligrams per, day and many health care providers urge older women to take calcium supplements to reduce the risk of osteoporosis. Vitamin D: You need vitamin D to absorb and utilize calcium. Most of your vitamin D intake comes from exposure to sunlight. Otherwise, an average adult needs about 400 International Units of vitamin D. Most calcium supplements include vitamin D.
Fish Oil: Omega-3 fatty acids will help prevent cardiovascular disease. Oily ocean fish are the best dietary sources of omega-3 fatty acids though plants such as flax contain omega-3 fatty acids. Studies suggest that 0.5 to 1.8 grams of fish oil per day is an effective amount. Folic Acid: Folate is found in green leafy vegetables, citrus fruit, and legumes. Folic acid supplements are recommended for any woman who may become pregnant. The recommended amount for adults is 400 micrograms per day. Chondroitin and Glucosamine: Researchers from the Glucosamine/Chondroitin Arthritis Intervention Trial found that participants with moderate-to-severe osteoarthritis pain found statistically significant amounts of pain relief with 1,500 milligrams glucosamine combined with 1,200 milligrams chondroitin sulfate supplements. Probiotics: Foods like yogurt and fermented foods naturally contain bacteria called probiotics. These bacteria are similar to the friendly bacteria commonly found in your digestive system. Probiotics are also available as dietary supplements and may be beneficial for people with irritable bowel syndrome and diarrhea. Huang HY, Caballero B, Chang S, Alberg A, Semba R, Schneyer C, Wilson RF, Cheng TY, Prokopowicz G, Barnes GJ 2nd, Vassy J, Bass EB. "Multivitamin/Mineral supplements and prevention of chronic disease: executive summary." Am J Clin Nutr. 2007 Jan;85(1):265S-268S. National Institutes of Health National Center for Complementary and Integrative Health. "Questions and Answers: NIH Glucosamine/Chondroitin Arthritis Intervention Trial (GAIT)." National Institutes of Health National Center for Complementary and Integrative Health. "Probiotics." National Institutes of Health National Eye Institute. "Age-Related Eye Disease Study-Results."